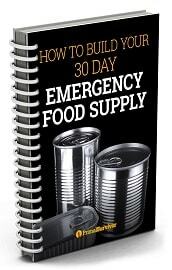 Thank you for signing up to the Free How To Build Your 30 Day Food Stockpile Course. Important: Please check your spam and promotions tabs if you do not receive the welcome email within 15 minutes. Drag the mail to your primary inbox in order to receive the rest of the challenge. Fast-track and get all of the information NOW! You have chosen to take action and we are here to help you build a 30 day food supply for your family. Over the next 5 days you will receive a daily email taking you through the process of building your stockpile step by step.